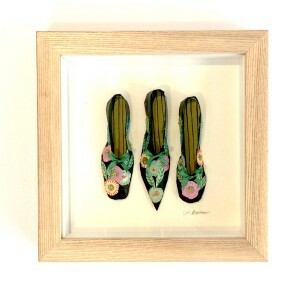 Size: 18cm x 18cm Box ash frame 3 shoes made from hand painted pattern collaged and hand stitched.. 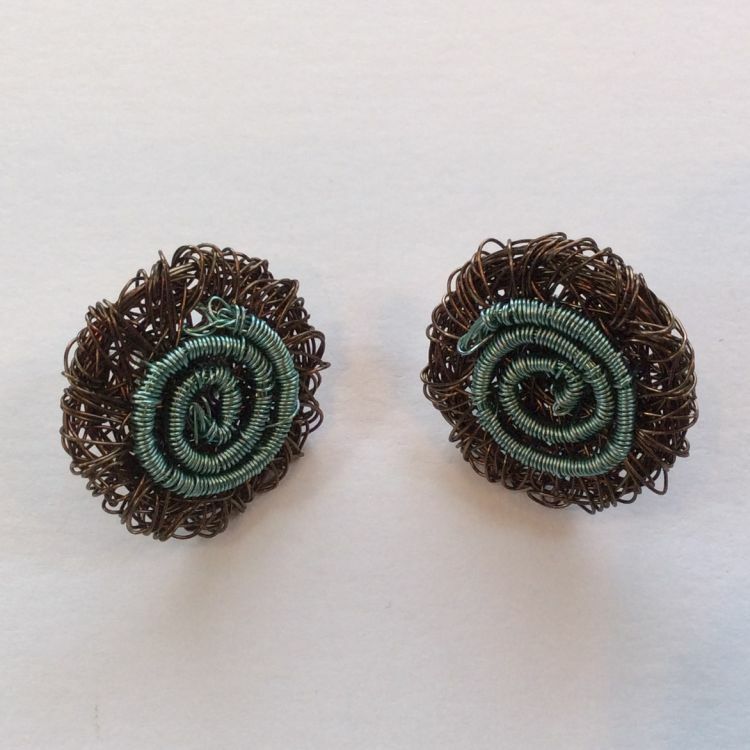 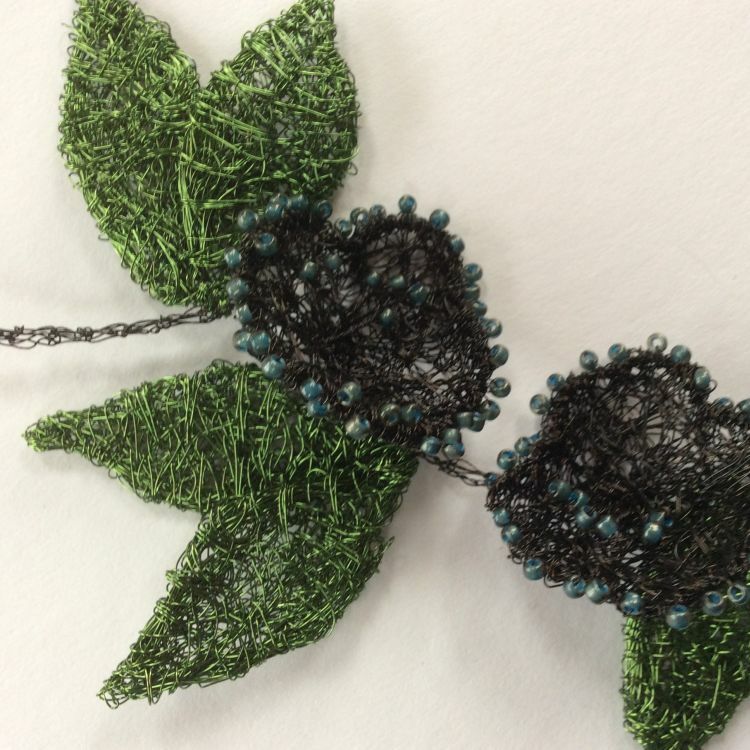 Description: 3 shoes made from silver coloured wire woven and embellished with flowers. 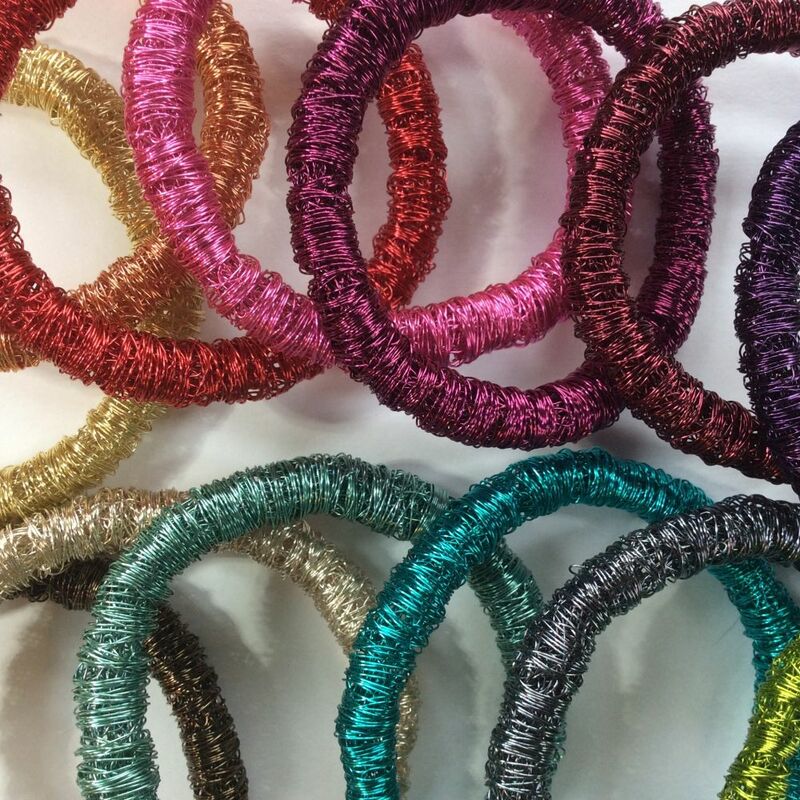 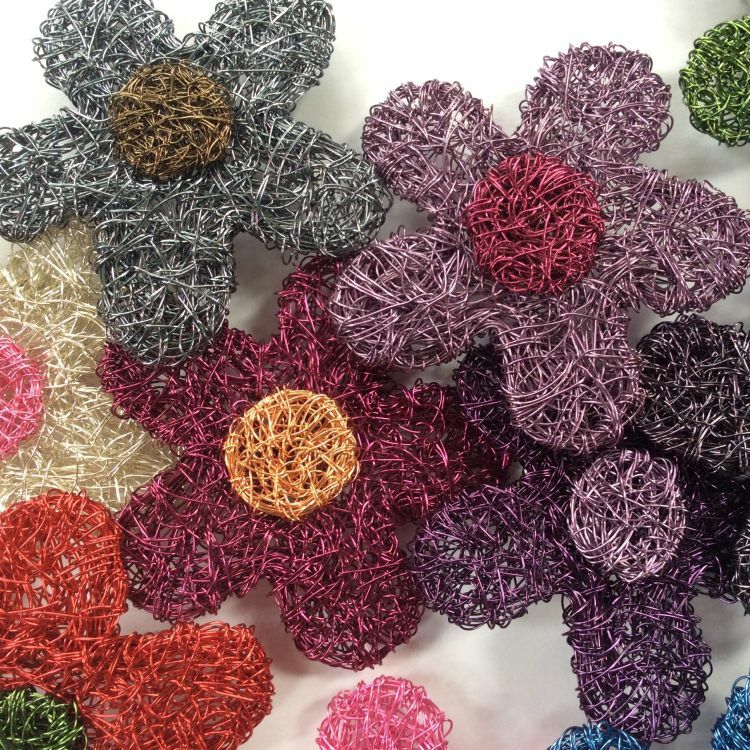 Colours: .. 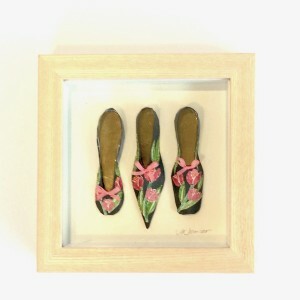 Description: 21cm x 21cm Box ash frame 6 shoes made from high quality printed paper with ribbon ..
8 shoes made from high quality printed paper with ribbon Colours: Made to order Size: 21cm x .. 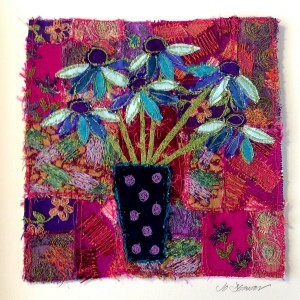 Description: Free machine embroidery pieces of work cut up and made into patchwork then overlaid wit.. 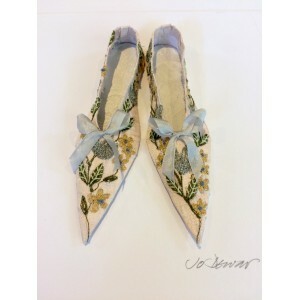 Description: 3 shoes collaged and hand stitched made with hand painted paper finished with a green s.. 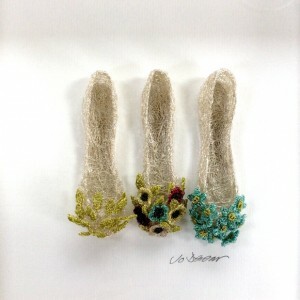 Size: 20cm x 20cm Two ivory silk miniature shoes embellished with machine embroidery Colours: .. 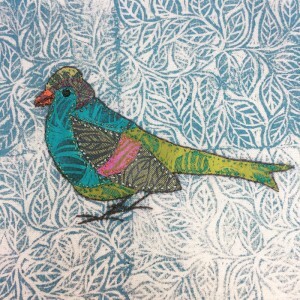 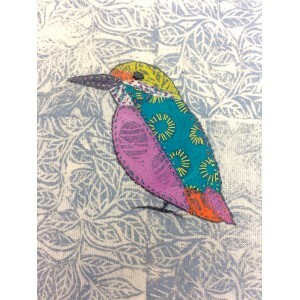 Size: 18cm x 18cm lino print and collage kingfisher Colours: Greys, turquoises, yellow, pink ..
size: 18cm x 18cm Lino cut print and collage chaffinch bird in an ash box frame Colours: Turqu.. 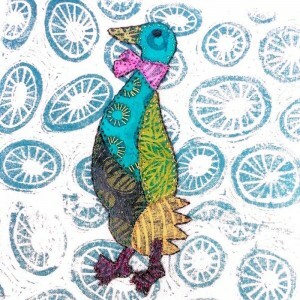 Size: 18cm x 18cm Lino cut print and collage indian runner duck in ash box frame Colours: gre.. 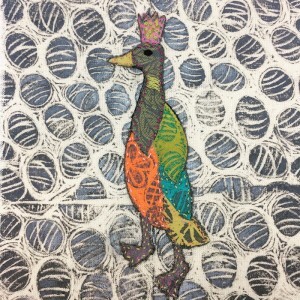 Size: 18cm x 18cm Lino print and collage mallard duck in a box ash frame Colours: Turquoise, g.. 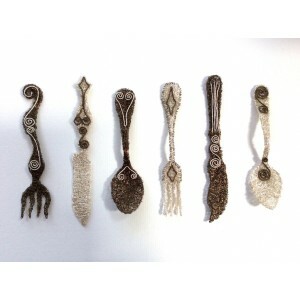 Size: 39cm x 28cm 6 pieces of woven wire cutlery, knife, fork and spoon Colours: Silver and gu.. 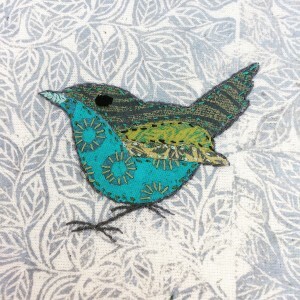 Size: 18cm x 18cm ash frame lino print and collage wren bird Colours: Greys and turquoises ..